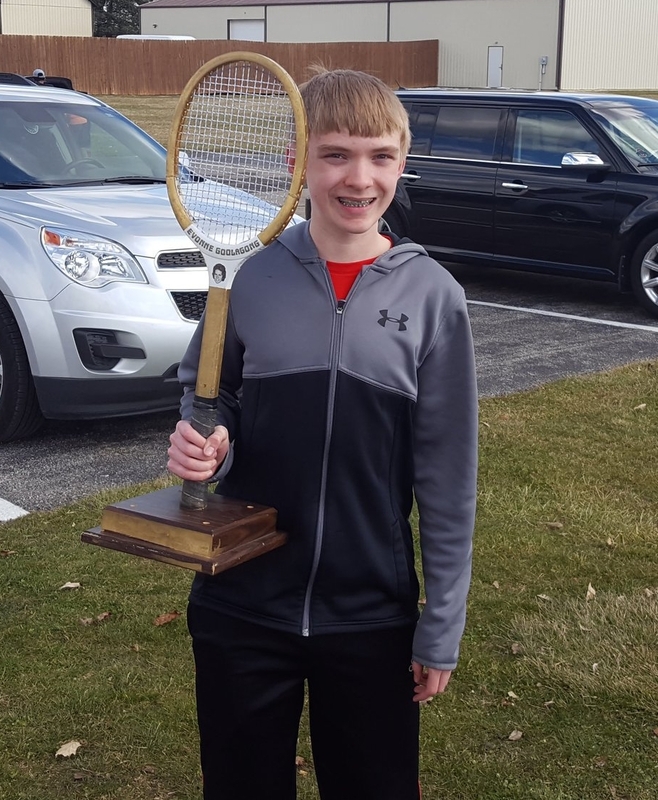 The Golden Goolagong goes to the Player of the Week. It rewards players who show up to practice and matches with intensity, positivity, and sportsmanship. For Stu Brdicka, tennis is more about what’s between his ears than what’s between the lines. The Olentangy High School boys team’s junior standout enters the Division I state tournament Friday, May 26, and Saturday, May 27, at Lindner Family Tennis Center in Mason with a 25-1 record and coming off a third-place finish at district. Brdicka thinks that without an improved mental approach, he wouldn’t be competing this weekend. “I love how things have gone,” he said. “My coach (Rick Naumoff, at Olympic Indoor Tennis Club) has been a big factor. I switched to him maybe about two years ago, but I have been taking more consistent lessons through the past year. I think that’s what’s been the key factor. 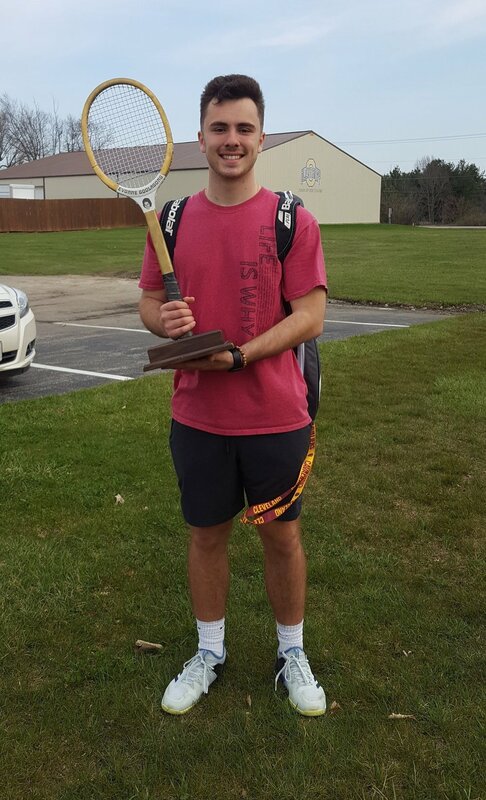 Brdicka qualified for state with a 6-1, 6-1 victory over Thomas Worthington’s Kai Britz on May 18 at Hilliard Davidson, and after suffering his first loss of the season in a district semifinal May 20 at Upper Arlington, 7-5, 6-2 to Hilliard Bradley’s Mitchell Thai, Brdicka rebounded to sweep Dublin Coffman’s Bryan Yoshino 6-2, 6-2 in the third-place match. The top four finishers in singles and doubles advanced to state. Brdicka was 0-1 in doubles at state as a freshman. He fell short of a return last year by going 1-1 at district. Braves coach Jeff Luxenburger said Brdicka’s cerebral approach always has been his biggest strength. Also competing at district but failing to advance were the doubles team of Pradhit Gosula and Alex Ulry and singles player Alex Konstan, each of whom went 0-1.